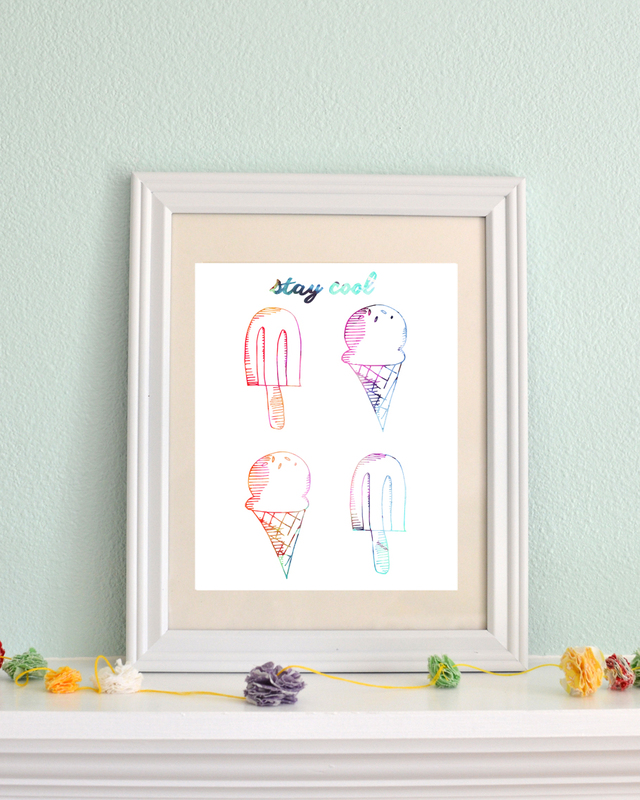 ' Stay Cool Summer Printable - Sisters, What! Oh boy, summer is finally here for us. Living in the PNW is sometimes unpredictable when it comes to heat and this year we've had some ups and downs of 90 degree days and then a few days of rain and 60 degrees. I don't mind, I love the rain so it's perfectly fine to me. But honestly, can you believe it's already July!! 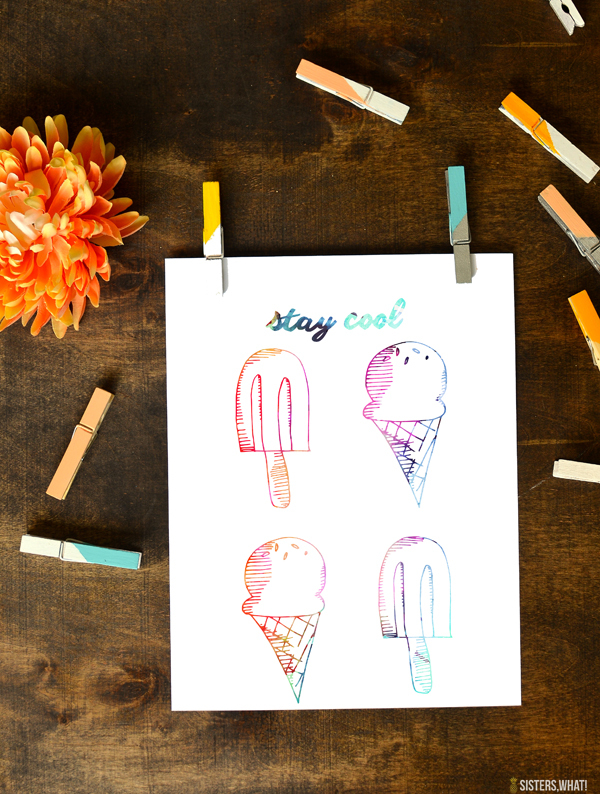 We have so much stuff planned that I feel this summer is going to zip by. Sooo...besides swimming and getting wet in some other fashion, eating popsicles and ice cream is probably our favorite way to stay cool. 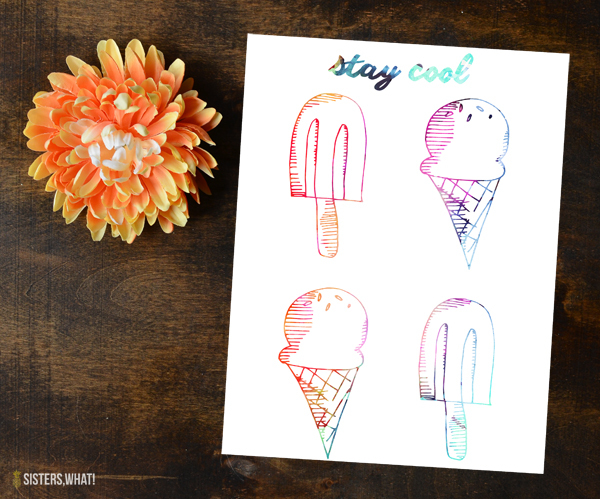 Well, anytime of the year is an excuse to eat ice cream ;) but especially summer time. 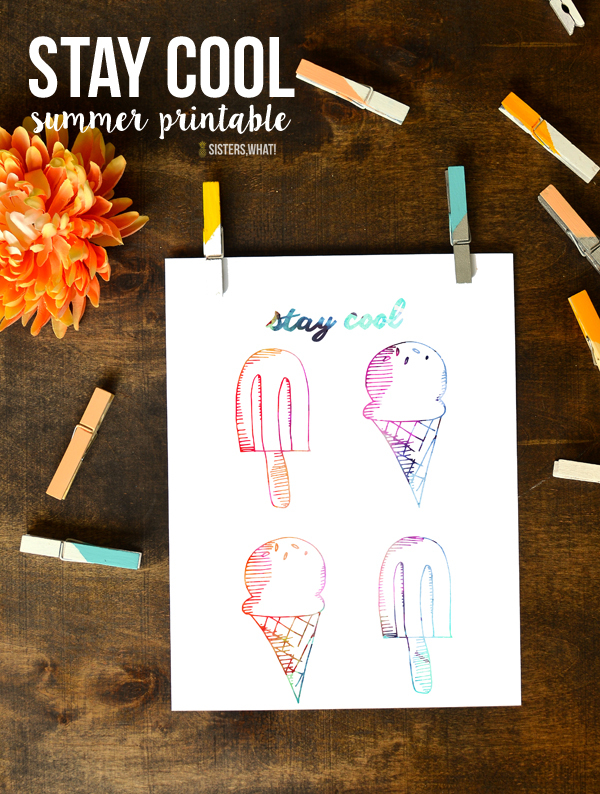 Go below to download this fun stay cool summer printable for free!